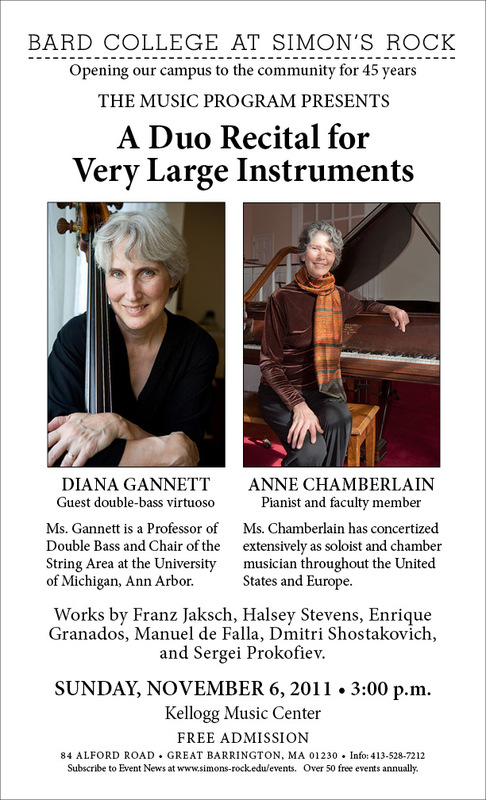 Anne Chamberlain�has concertized extensively as soloist and chamber musician throughout the United States and Europe. Her numerous performances have included concerts at Alice Tully Hall and Town Hall in New York City, as well as appearances at other major halls, music festivals and universities, where she has premiered many works by her contemporaries. The Portland (Maine) Concert Association awarded Ms. Chamberlain the John Knowles Paine Award in recognition of her performances of American music of the late 20th Century. Ms. Chamberlain was born in New York City and studied for six years at the Juilliard School where she was mentored by Beveridge Webster. She went on to graduate from the Oberlin Conservatory of Music, and returned to Juilliard for further work with Mr. Webster. 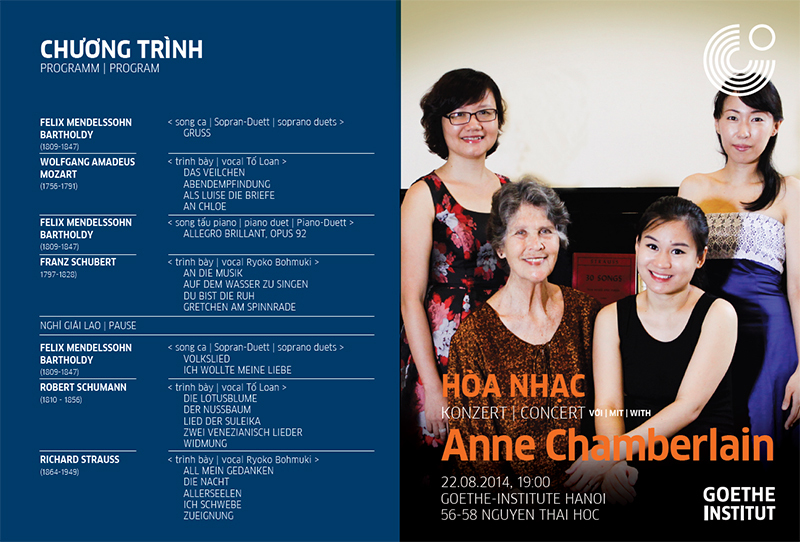 �In recent years she performed in Ha Noi, Viet Nam, coaching and accompanying singers from the Viet Nam National Opera Company and giving chamber music concerts with leading instrumentalists in the Ha Noi community. 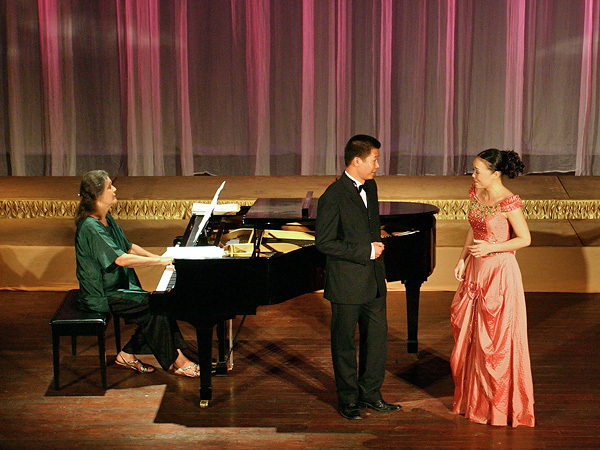 With these musicians she appeared on VNTV, and Ha Noi FM radio. �For thirty years Ms. Chamberlain taught piano students at Bard College at�Simon's Rock in Great Barrington, Massachusetts. During this time she was also the Music Director�at the United Church of Christ in Cornwall, Connecticut. "Anne Chamberlain, a pianist with the technical tools and intellectual acuity necessary to play 20th century music well, did not let her century down in her recital at Alice Tully Hall. Early or late composers found in the tall young artist a persuasive advocate." "Pianist Anne Chamberlain's beautiful playing radiated warmth, musicality, and a particularly fine sense of voicing.... In the second half of her program, devoted exclusively to 20th Century works, Miss Chamberlain best displayed her artistry. The concert concluded with a group of exquisitely performed Preludes by Debussy." 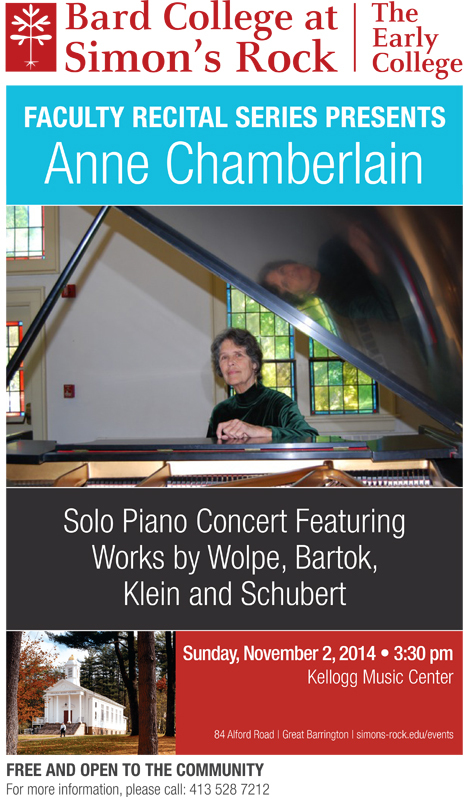 "Anne Chamberlain is an excellent pianist with her own clear vision. She knew how to achieve perfect ensemble playing." goes on from there and learning this way is wonderful! each student then starts to work in the same ways at home between lessons. children are at the "head of the class" right away. "We learn to love the music!"